Maintain a healthy head of hair by paying a visit to Phase 3 Barber Shop today. We offer the perfect men’s and women’s styles for every occasion, including women’s short hairstyles and old-fashioned shaving services with a straight razor for men. Contact us today to learn more about our skilled barbers and hairstylists. My name is Marc Patterson, and I am the owner of Phase 3 barber Shop, I first became interested in the barbering field back in 1979—my aunt, who was working as a cosmetologist in New York at the time, introduced me to the field. It quickly became a passion of mine, so I pursued it on a professional level in August of 1982. I began working under the apprenticeship program at Talley’s Barber Shop in the Bronx, where I remained for nearly six years. In October 1987, I took my New York State Board Test and obtained my Master Barber License. In May of 1988, I opened Step Two Barber Shop in the Bronx, which I owned and operated successfully for more than 15 years. During this time, I trained several up-and-coming barbers who would later obtain their own Master Barber Licenses and open up their own barbershops in the area. In an effort to branch out my business, I relocated to Ohio to start a new shop while my staff managed the shop in Bronx. Unfortunately, a family emergency forced me to move back to the Bronx and close my business venture in Ohio. I didn’t let that deter me for long though—in 1999, I relocated to Tampa and obtained a Master Barber License for the state of Florida. For nine years, I continued to operate a barbershop in both Tampa and the Bronx. In 2005, I sold Step Two Barber Shop and focused entirely on my shop in Tampa. I then spent the next several months honing my skills and going on various adventures to improve my barbering skills. Eventually, I realized that I had trained enough and decided to plunge back into the barber industry. With a renewed spirit and a greater understanding of the hair care industry, I relocated to Atlanta in early 2008 to get back into world of barbering. 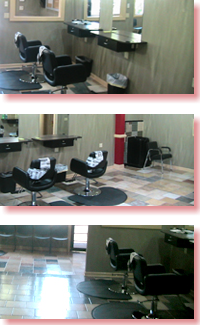 I opened Phase 3 Barber Shop in mid-2009. Visit our barbershop today and allow us to put our decades of hair care experience to work for you. Visit our barbershop in Atlanta, Georgia, and ask for a women’s short haircut and style.